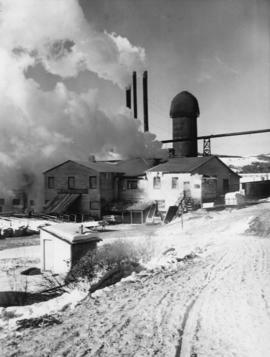 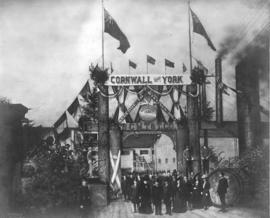 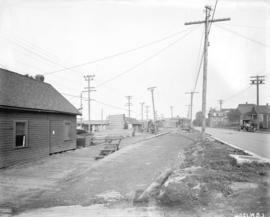 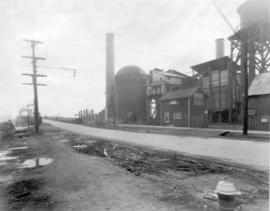 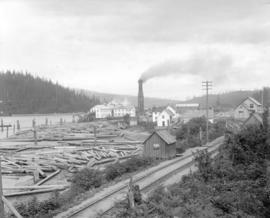 Photograph shows the Powell St. street car tracks, houses and Hastings Mill and Store. 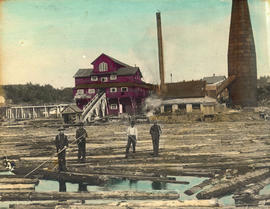 Scan cut off top portion of the sky and annotations. 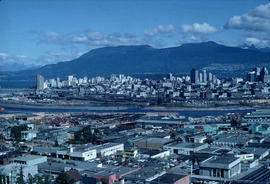 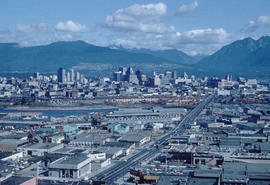 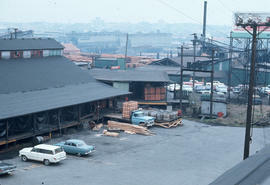 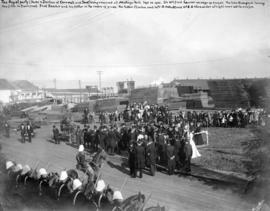 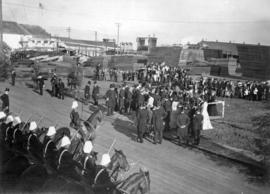 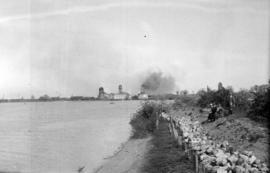 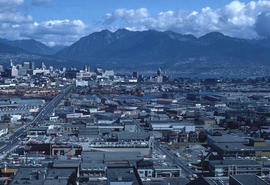 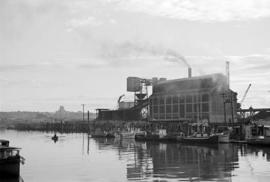 Photograph also shows the Granville Bridge, other False Creek mills and industrial buildings and Fairview Slopes to the far right. 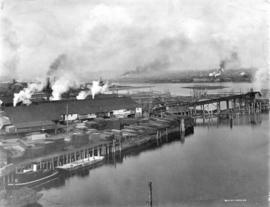 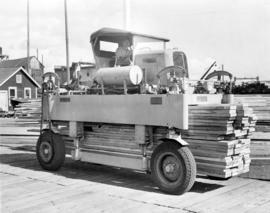 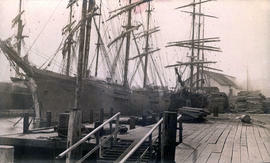 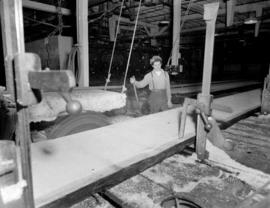 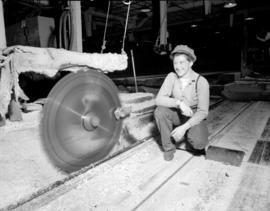 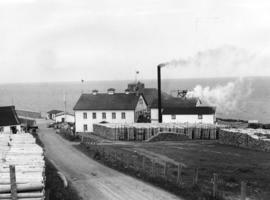 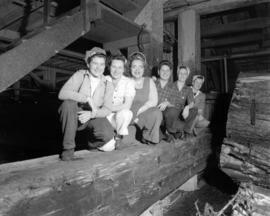 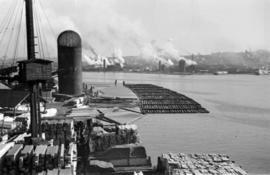 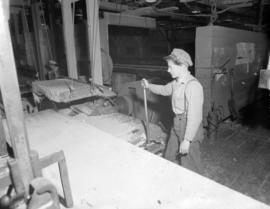 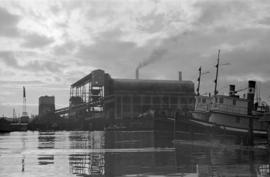 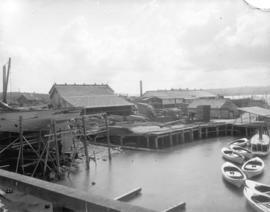 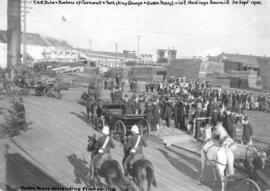 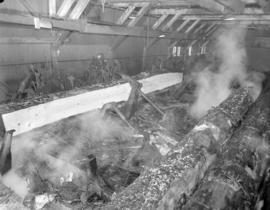 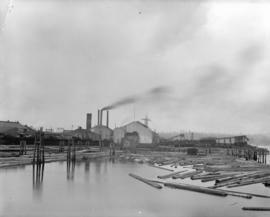 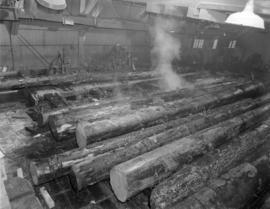 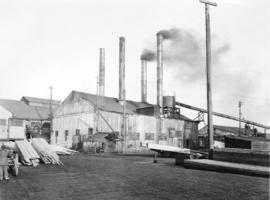 Photograph shows Hstings Sawmill, the ship "Curron", and the tugboat "Commodore"
Photograph shows sheds, small rowboats, and piles of lumber. 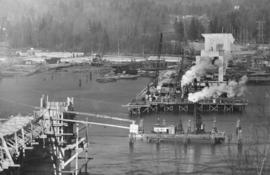 Panoramic view showing the Granville Bridge with the span open, C.P.R. 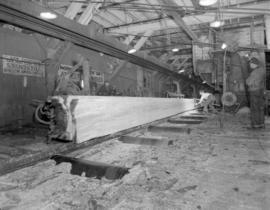 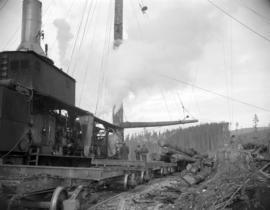 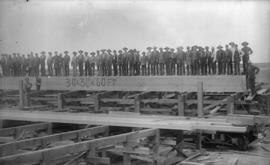 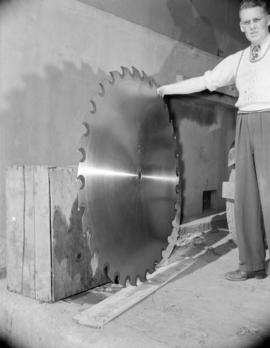 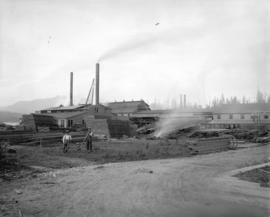 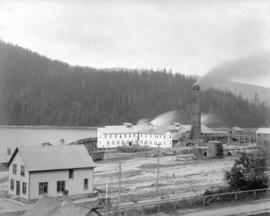 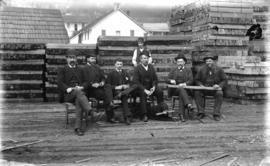 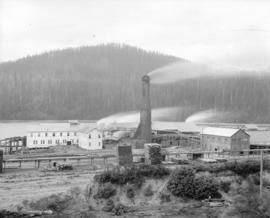 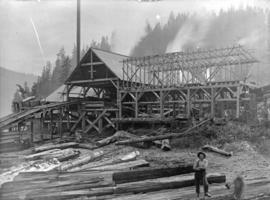 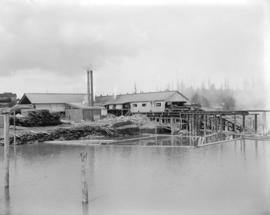 Trestle Bridge, Robertson and Hacket Sawmill, Canadian Pipe Co., Vancouver Granite Co. and Marpole Coal Co.